I’ve been adding a few fun touches to our office desk. 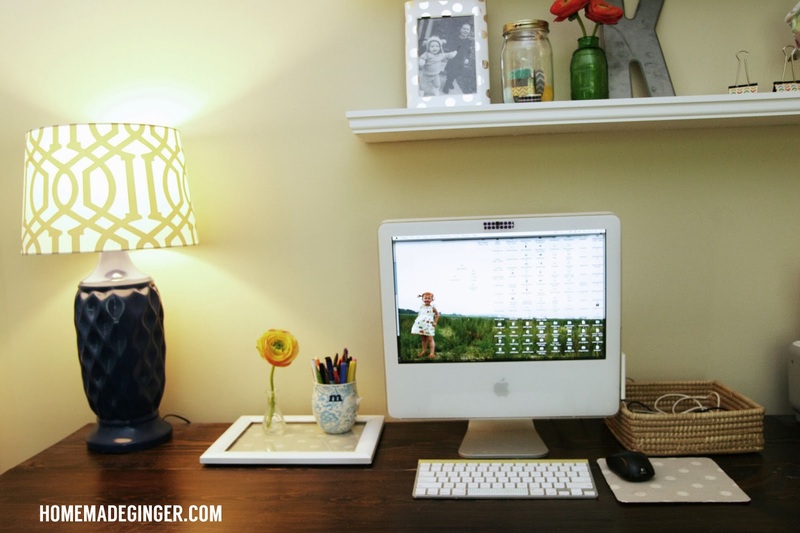 I made the DIY honeycomb lamps, the mouse pad and keyboard quick updates and now I have just a few more easy things that I threw together to share! I saw this idea (I can’t find the correct link to the actual blog that has this project, if you know it, let me know. I always want to link to the correct source!) on Pinterest to use a picture frame as a tray. I used the same fabric as the mouse pad and stuck it in a frame that I had (of course) spray painted white. My favorite Anthropologie mug’s handle broke a few months ago, so now it’s the perfect spot to hold pens and markers. Oh, and that flower? You’ll never guess where it came from…Walmart! It was $2! I’m normally not a fake flower person, but I actually love it and bought a few in orange as well. 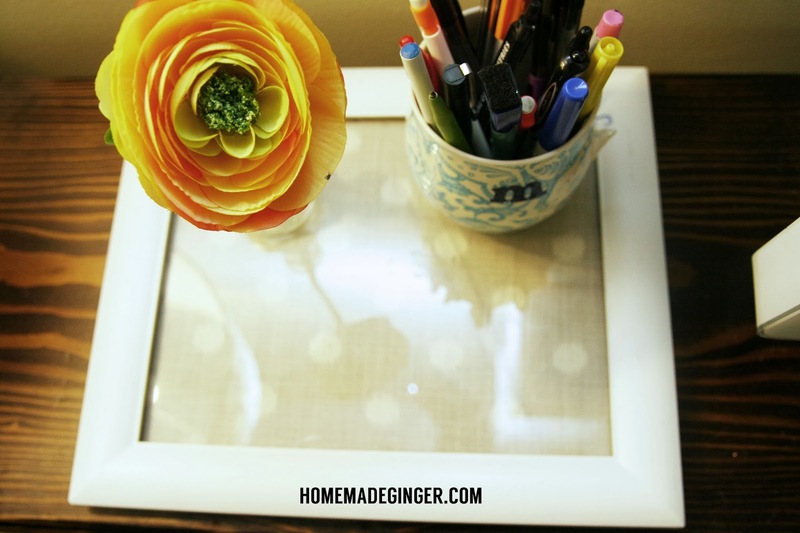 I added one more use for the picture frame/tray…a message board! Just use a dry erase marker to jot down any notes and wipe it away. 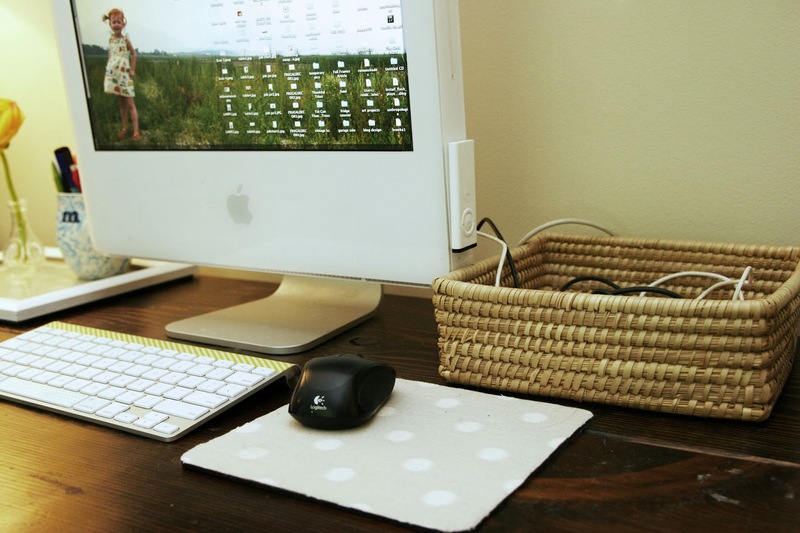 On the opposite side of the computer, I stuck a square wicker basket to put random things with cords in. I found the basket at the thrift store for $1 and I love. It’s the perfect size for that spot! 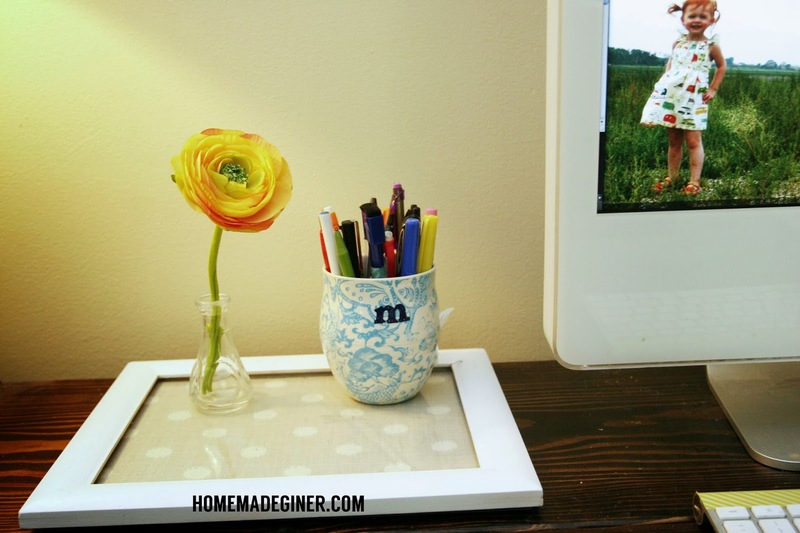 Aaaaannndd….the above photo has a sneak preview of a secret project we’ve been working on…DIY floating shelves! Reid finished them and they look so good. Can’t wait to share that tutorial with you soon! 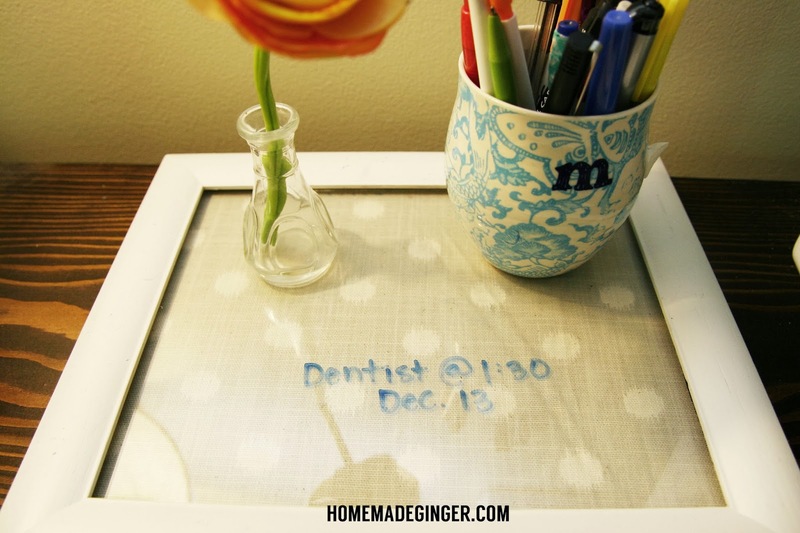 The picture frame as a dry-erase board and tray is such a great idea! It looks great! 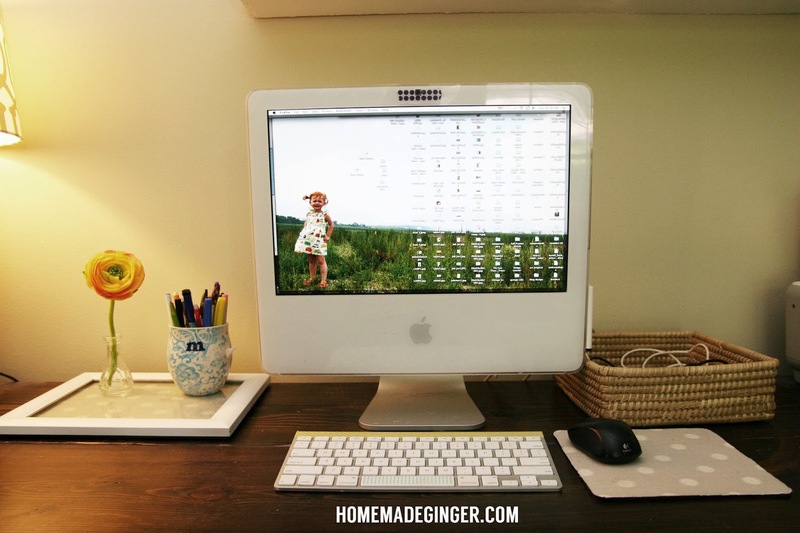 I love the polka-dot fabric in multiple places!